When Broadway was a country road. Stoddard gives us an old Broadway- perhaps imagining it as it was in New Amsterdam, the Dutch colony that later became New York. The name of the road was Anglicized to “Broadway” in 1899. It originates at the Battery at the southern tip of Manhattan, and runs 21 and a half miles north through the Bronx to Yonkers at 262nd Street and beyond. It runs against the grid system laid out by the city commissioner Casimier Goerck in the 1790s. In 1811, when the grid system was officially implemented, Broadway was the only street to remain on the diagonal throughout the entirety of Manhattan. However, that’s the only consistent thing about Broadway. Largely residential until the early 19th century, Broadway has had multiple names for its many roles: “Ladies Mile” for the 19th century shopping district; the theater district, with theaters gradually moving north until settling at 42nd street in the early 20th century, the “Canyon of Heroes,” so known for the ticker tape parades that happen in Lower Manhattan; and today, “Silicon Alley,” for the numerous Internet and New Media start-up companies that have established themselves between SoHo and 23rd street. Broadway is no longer a country road; but it continues to change. In 2009 the New York City Department of Transportation implemented a new program called Green Light for Midtown, which closed off Broadway at Herald Square and Times Square to auto traffic, creating safer intersections and more attractive public spaces. Broadway will no doubt continue to transform but its same boney structure will remain the avenue that carries the spirit of New York. Aylesworth, T. & Aylesworth,V . L. (1987). New York: The glamour years (1919-1945). New York: Gallery Books. “Broadway.” (2010). In The Encyclopedia of New York City, Second Edition (p. 159). New Haven, CT: Yale University Press. Cloyd, A. Untitled photographs. (2012). Ewen, D. (1827). Untitled. [unpublished manuscript; map] Lionel Pincus and Princess Firyal Map Division of the New York Public Library. New York, NY. Homberger, E. (1994). The historical atlas of New York City: A visual celebration of nearly 400 years of New York City’s history. New York: Henry Holt & Company. Kerfoot, J.B. (1911). Broadway. Boston: Houghton Mifflin Co. Retrieved from http://archive.org/details/broadway00kerfoo. Lyne, J. (1731). A Plan of the City of New York from an actual Survey Made by James Lyne. [Map] Lionel Pincus and Princess Firyal Map Division of the New York Public Library. New York, NY. “Magazines.” (2010). In The Encyclopedia of New York City, Second Edition (p. 782). New Haven, CT: Yale University Press. Miller, J. (1696). New Yorke. [Map] Lionel Pincus and Princess Firyal Map Division of the New York Public Library. New York, NY. New York, N.Y. and vicinity (Raster Image). (1899). Retrieved April 2, 2012 from http://geodata.tufts.edu/. NYPL Digital Gallery. Broadway north from 45 St. (1923). Image ID 107579. NYPL Digital Gallery. [Construction of Flatiron building, New York City.] (1902?). Image ID 804857. http://digitalgallery.nypl.org/nypldigital/id?804857. NYPL Digital Gallery. Map of New Amsterdam in 1661. (1664). Image ID 800043. NYPL Digital Gallery. “The Great White Way,” Broadway, New York City. (Ca. 191-). Image ID 836271. http://digitalgallery.nypl.org/nypldigital/id?836271. NYPL Digital Gallery. View of Broadway, 1834. (1834). Image ID 800590. Ratzer, B. (1766-1767). Plan of the City of New York, in North America: Surveyed in the Years 1766 & 1767. [Map] Lionel Pincus and Princess Firyal Map Division of the New York Public Library. New York, NY. Stoddard, C.C. (2007). “When Broadway Was a Country Road.” In S. Wolf (Ed. ), I speak of the city: Poems of New York. New York: Columbia University Press. “Traffic.” (2010). In The Encyclopedia of New York City, Second Edition (p. 1328). New Haven, CT: Yale University Press. Unknown. Original by J. Cortelyou. (ca. 1665). Afbeeldinge van de Stadt Amsterdam in Nieuw Neederlandt. [Map] Lionel Pincus and Princess Firyal Map Division of the New York Public Library. New York, NY. White, N. (1987). 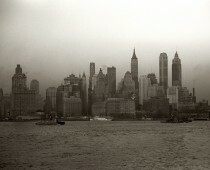 New York: A physical history. New York: Atheneum. Wikimedia. Community Board 5. Retrieved from http://commons.wikimedia.org/wiki/File:CommBoard5_map.jpg.